Tanga is running a deal on Amazon Kindles tonight. This deal allows you to purchase a Kindle Wi-Fi 6″ for $99.98 shipped. Suggested retail for a Kindle is $114.00, so its a savings of $14.02. Might not be much but it’s something. So, if you’ve been itching to get an Amazon Kindle, but have been waiting for a deal, this might be your chance. Hurry though, the deal lasts for 24 hours or until sold out. Heads up this is the version with special offers and sponsored screen savers. 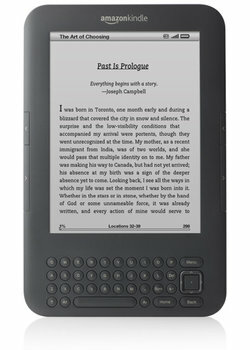 Do you have a kindle I would love to hear your thoughts on them.